On the occasion of the 100th anniversary of Lex Barker’s date of birth, 30th March, 2019, the Berlin ‘Karl-May-Freunde’ will host an exclusive event at the Hotel Intercontinental (formerly Hotel Hilton) in Berlin, during which the former Old-Shatterhand actor will be the main focus; Lex Barker always stayed in this hotel during filming in Berlin. The function is a co-operative undertaking together with Rialto-Film, and promises a few surprises for Barker-friends. In the meantime, the event has been sold out; however, these pages will feature detailed reports afterwards. An English-language biography about the actor is progressing well to be ready in time for the 100th anniversary of Lex Barker’s birth in May 2019. Lex Barker enters the race for a star on the 'Walk of Fame' in Hollywood. Hollywood, May 2018. The nomination for a star for Lex Barker on the world-famous 'Walk of Fame' in Hollywood was submitted to the Chamber of Commerce. It is now a matter of 'crossing fingers' by all fans of the unforgettable actor. The jury will choose the winning applicants in June 2018, and perhaps then the category 'Postum' in Hollywood will proclaim: 'The Winner is ... Lex Barker.' The popular 'Tarzan' and 'Old Shatterhand' actor would certainly be deserving of it. Especially since Lex Barker would have celebrated his 100th birthday in 2019. 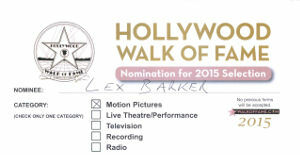 Again, a nomination is submitted to place a star for Lex Barker on the Walk of Fame in Hollywood. Perhaps it will be successful on the occasion of Barker's 95th birthday. The decision will be made in June. Please keep your fingers crossed! We thank Karen Kondazian for her support, as well as talks on the subject in Hollywood. Work continues on projects like the English language Lex Barker biography, as well as the film documentation of Lex Barker's life. On the occasion of the 40th anniversary of Lex Barker's death, ARD-Magazine Brisant will broadcast as part of its program on the 10th May, 2013 — with start at 5.15pm — a tribute in honour of the unforgettable actor. For that purpose, exclusive interviews have been recorded with Lex Barker's son, Christopher (in Switzerland), and Winnetou Pierre Brice (in Paris) at the beginning of the week. An hommage of a special kind! On the eleventh of May, 2013, forty years have passed since Lex Barker's death. The years have not diminished his popularity among the audience. On the contrary — he remains in the hearts of his fans and is now being adored by 'up-and-coming' generations in his famous roles of Tarzan and Old Shatterhand. The screening of his movies on television, as well as new, 'remastered' editions on DVD and Blu-ray are evidence of it. Special commemorative contributions on Lex Barker during the month of May include an article by the men's magazine GQ, among others. A new nomination for Barker's inclusion on the Walk of Fame in Hollywood is also under preparation. In addition, an English language edition of the Lex Barker biography is being created, as well as a new book about the German Westerns (in which film people around the world will speak about Old Shatterhand Lex Barker). Lex Barker's brilliant success Old Shatterhand began fifty years ago in Germany and Europe. The fact that the German Westerns with the star from Hollywood also screened in American cinemas, and earned respectful reviews, is not so well known. The latest special feature is following the trails of Old Shatterhand in the Western's country of origin, to celebrate the fiftieth anniversary of The Treasure of Silver Lake. Fifty years ago, Lex Barker stepped into the role of Old Shatterhand and emerged as the ideal main character of the Karl May movie The Treasure of Silver Lake (1962). On the twenty-fifth of July, 1962, during the stopover in Frankfurt, on his flight to Berlin for dress rehearsals, Barker is interviewed by the press, and voices his joy at the new role and the filming work in (the former) Yugoslavia. Barker is aware that Pierre Brice, the French actor he met earlier in Rome, will portray the Indian chief Winnetou. He has also been informed that his colleague Herbert Lom is part of the project as co-director to German Harald Reinl. To celebrate the Shatterhand jubilee, a special article will shortly be released on these Internet pages. Likewise, Tarzan, the jungle man created by Edgar Rice Burroughs, will celebrate his one-hundredth anniversary in August, 2012. A feature dedicated to Tarzan Lex Barker will be published on these pages in the second half of 2012. Moreover, preparations are well underway to shoot new film clips for the documentary of Lex Barker’s life, as well as the publishing of a new book. The wait is over! The standard work about Lex Barker (by Reiner Boller & Christiane Boehme) has been released now by the publishing house Schwarzkopf & Schwarzkopf as a special paperback edition. It contains previously unpublished photos of Lex Barker as well as commentary by his friends and colleagues. The subject of this round in the station's quiz show about great names is Lex Barker. The recording of the show took place on 24 Feb 2011 in Baden-Baden. Guest in the studio was Lex Barker's son, Christopher Barker, the descendant of the unforgettable actor. Whether or not the quiz-team of Robert Willemsen, Julia Westlake, and Ingo Zamperone were able to guess the great name will be revealed during the airing of the SWR television programme at 18.15 p.m. on Sunday, 3 April 2011. Maybe the game show host Anja Hoefer was able to steer them onto the right trail? The standard work about Lex Barker (by Reiner Boller & Christiane Boehme) will be released in spring of 2011 by the publishing house Schwarzkopf & Schwarzkopf as a special paperback edition. It contains previously unpublished photos of Lex Barker and comments by his friends and colleagues. The conversation with Liana Orfei is the second interview contribution for 2010. Orfei partnered Lex Barker on the screen several times and has much to tell. During October 2010, more filming for the documentary about Lex Barker's life took place in Berlin, together with his son Zan. In May 2010, new footage was filmed on the original locations of the 1960s for a documentary about Lex Barker's life with the actor's son, Christopher Barker. The 2010 nomination for a Star on the Walk of Fame in Hollywood for Lex Barker has been submitted to the selection committee. Perhaps we will be successful this year, when the famous trail of stars celebrates its 50th anniversary. The decision will be made in June. Please keep your fingers crossed again! Brett Halsey's interview is a new contribution to the series of conversations with Lex Barker's companions. Halsey was a member of the American community during Rome's dolce vita. By the way: it was fifty years ago, in May 1960, when Fellini's La Dolce Vita created a furore at the Cannes film festival, where it began its world-wide victory tour. The interview with Marsha Hunt is a new contribution to the series of conversations with Lex Barker's companions. Nr. 3 of interviews with strong female personalities. Link to other contributions: Marie Versini and Karen Kondazian. The interview with Karen Kondazian is a new contribution to the series of conversations with Lex Barker's companions. Nr. 2 of interviews with strong female personalities. Link to contribution No 1: Marie Versini. The interview with Marie Versini is a new contribution to the series of conversations with Lex Barker's companions. Shortly, two more interviews with strong female personalities from the movie metropolis Hollywood will be published. Hollywood is the city of movie legends. On 29 June 2009, the first frames for a film documentary of Lex Barker's life were shot in the famous film metropolis. Find it under 90 Years of Lex Barker - Hollywood memories. The popular Tarzan comics from the fifties with the beautiful Lex Barker cover images will again be published from October 2009 onwards in the USA by the company Dark Horse, in several collectors editions. The project includes all volumes with the Barker covers for the original comics, editions 13 through to 54, published by Dell during 1850 to 1954. There will be no star on the Hollywood Walk of Fame for Lex Barker in 2009, but we don't give up! You can still sign the petition here. On the occasion of this anniversary, the five Tarzan movies with Lex Barker have been released in the USA by Warner Bros for the first time on DVD. In July, the films are to be screened again as part of the TCM (Turner Classic Movies) programme. On 13th May, Bavarian Television broadcasts a small special 'Lex Barker's Ninetieth!' during their programme 'Kino Kino'. The fact that Lex Barker is still very suited for the cover of a magazine, is evidenced by the latest edition of 'Karl May & Co', May 2009, No 116. Today, Lex Barker would have been ninety years old. Happy Birthday! The unforgettable actor, who played Tarzan and Old Shatterhand, continues to be an international idol. His sons speak about their father on the occasion of his birthday. In 2009, Lex Barker would have celebrated his 90th birthday. 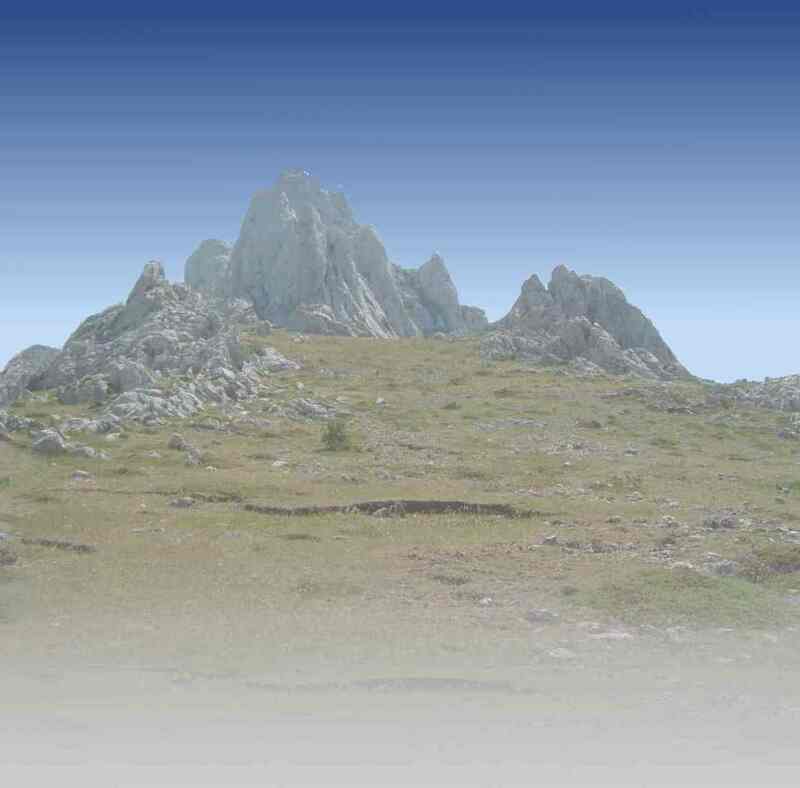 On the occasion of the anniversary year, this website will present fresh articles and interviews throughout 2009. To begin, we visit the city known as the metropolis of the motion picture industry, where Lex Barker became a movie actor. In 2009 Lex Barker will again be nominated for the awarding of a star on the 'Walk of Fame' in Hollywood. Fingers crossed! In the meantime, movie town Kanab in Utah has honoured Lex Barker with a commemorative plaque. Lex Barker now has his place in the line-up next to Glenn Ford, Ronald Reagan, James Arness and John Wayne. Thank you Kanab! Pictures a now available, please take a look! To celebrate Lex Barker a TV documentary is planned about the actor's life. Detailed information will be made available on this website. Vote for your favourite role Lex Barker played in his long career! You can find it here: Filmography - Opinion poll.